I'm more than happy to work with you. Ideal for school uniform PE kits, shoes and more. 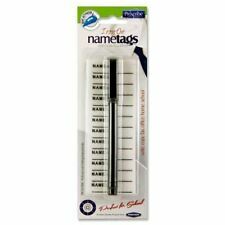 Brownie pen with cute Brownie flowers onand Brownie logo. Personalise your font – choose from 20 fonts available. Hold a dry iron flat for 6-10 seconds over the label, For best results do not move iron around. Keep repeating until the label looks embedded onto the material. I was in Brownies cloth woven badge. Babies cloths for nursery. Brownies / Scouts/ Beavers / Rainbows / Guides Uniform. Feed up with losing valuable cloths?. Kids camp and trip clothes. As a general rule, if it can go through a wash, it can have an Iron On label applied. Guide Bear Pin Badge wearing a Hoodie. 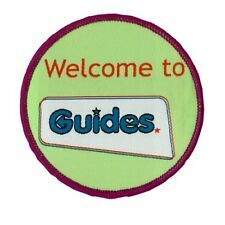 A lovely cute rubber badge that has a pin to put onto clothing for Guides to wear. Can be clipped onto a bag or can be used as a keyring. Rainbow Teddy Bear clip/keyring. Teddy has Rainbow logo on its t-shirt. I'm more than happy to work with you. Machine wash.
Rangers Cube notepad. Has Ranger logo on. Rainbow Cube notepad. Has picture of Rainbows round the edge. Sleepover / camp blanket. Brownie Blanket. Rainbow I've had an Adventure cloth badge to sew or glue on for Rainbows. Guide pen with Stars and Hearts on it. Sleep over/ camp blanket. Guide Blanket. 100% polyester fleece blanket.133 x 138cm. The new blanket now, is a slightly lighter navy. Well Done! Rainbow cloth badge to sew or glue on for Rainbows. Size: Small. Color: Blue. a pretty image. 150 FREE professional. [Weight]: 3 oz. Make your daughter look and feel like a real gymnast or dancer! Guide wind up portable small torch.